This week, we continue our retrospective on movies featuring Jules Verne’s immortal Captain Nemo (tying in with the release of Young Captain Nemo in March) with Irwin Allen’s 1978 science fiction film (really a packaged release of three episodes of a TV series) The Amazing Captain Nemo, AKA The Return of Captain Nemo. This is a film that all of us expected to feel like deep punishment but actually caught us all by surprise with its whimsy and Six-Million-Dollar Man/Buck Rogers sensibilities. 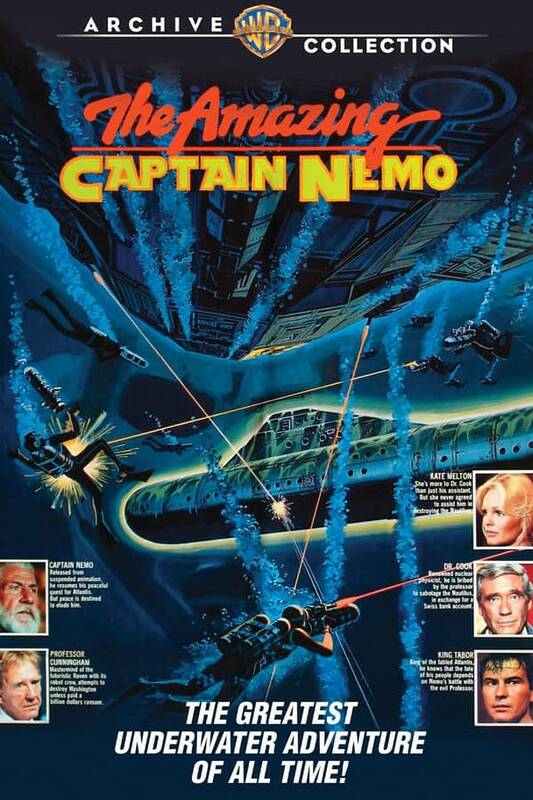 Jose Ferrer plays the first version of Captain Nemo that is essentially a superhero. Special guests this week: David Bowles of the upcoming book The Chupacabras of the Rio Grande and Adam Foshko, Director of Story and Narrative Design at HBO. Hosted by Jason Henderson, author of the upcoming Young Captain Nemo, creator of the HarperTeen novel series Alex Van Helsing; Featuring attorney Julia Guzman of Guzman Immigration of Denver.